The earlier years, my travel philosophy is to always make the most of the destination I visit. I roam around the city, I walked, I got lost, and the very next moment I found myself wandering around at a small hidden corner of the city. I take a picture and then I move on to the next spot. To give you a better idea, think of the big red bus that runs in the circumferential route throughout the city all day long. Yes, I am that guy who often hops-on and off from one city’s famous landmark to another. I walk as I explore. I walk as I want to see more of what I have yet to see. But unexpectedly Sydney has completely changed the way I look at things. The beautiful side of life that I have never experienced before. One of the great beauties of architecture is that each time is like life starting all over again. 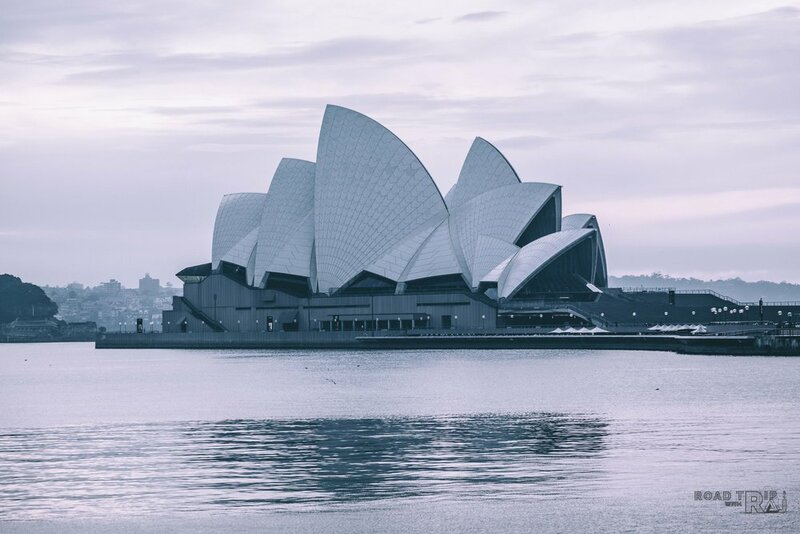 Sitting here at Circular Quay offers you the front row seat to view the beautifully-designed Sydney Opera House. 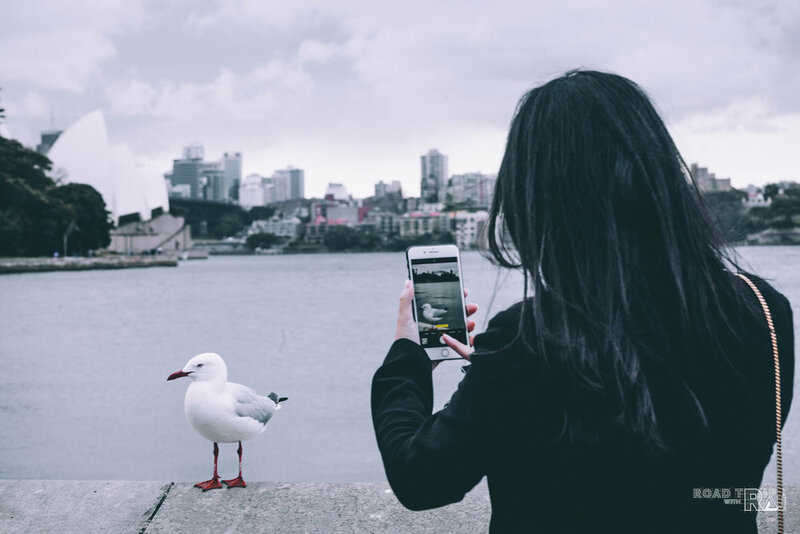 Circular Quay is the mid-town area where you can also get transport to other sights in the city as it hosts a number of ferry quays, bus stops, and a train station. As I was sitting here alone, hoping there will be someone who sits next to me and we spend time viewing sunrise over Sydney Bridge together. I am sure there is nothing quite like seeing the world's tallest steel arch bridge by our eyes. The bridge was purposely built to connect the northern suburbs of Sydney with the downtown. There are many art galleries and museums in the area including the Museum of Contemporary Art, Australia (MCA). The museum contains over 4,000 works by Australian artists that have been acquired since 1989. The collection spans all art forms with strong holdings in painting, photography, sculpture and etc. MCA indeed covers the range and diversity of contemporary art. If you find sitting is boring, then let's put life a little more into action. Let's jog. 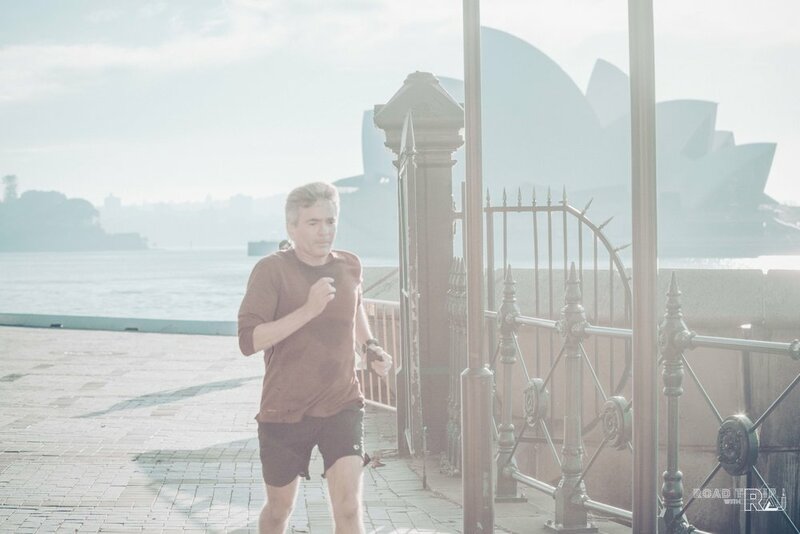 I'm sure the morning jog alongside of Circular Quay is going to blow your mind away and it is so lovely to see local Sydney people jog in the morning. I feel like they don't jog as it is a sport. The jog as it is a lifestyle. I personally feel that it's getting harder and harder to live in the moment for the moment, as we are all busy living our lives. And sometimes our mind travels away. We lost concentration and direction. Disconnected with ourselves and sometimes with friends or family. We got distracted by things and people around us. Not to mention those endless social media notifications. 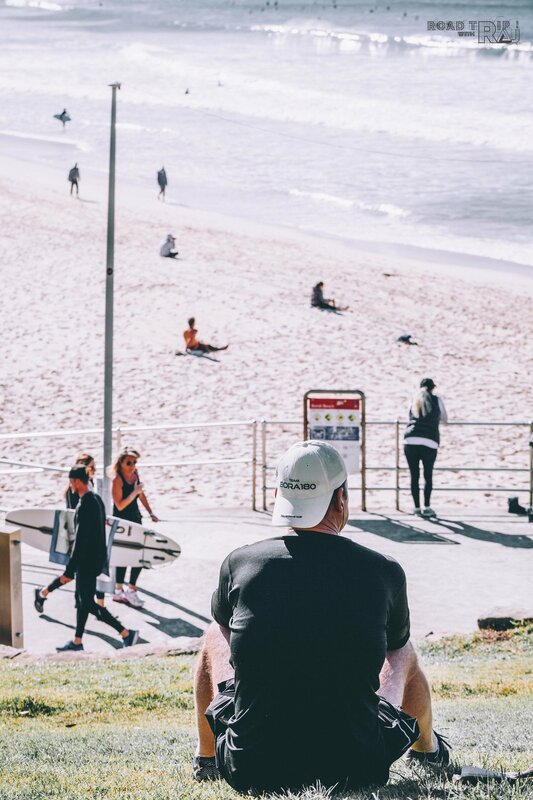 Be that as it may, if you sit here at Bondi Beach, your mind got nowhere else to escape, even if it wanders away, it will float to the vivid navy blue mixed sapphire ocean color of Bondi beach. 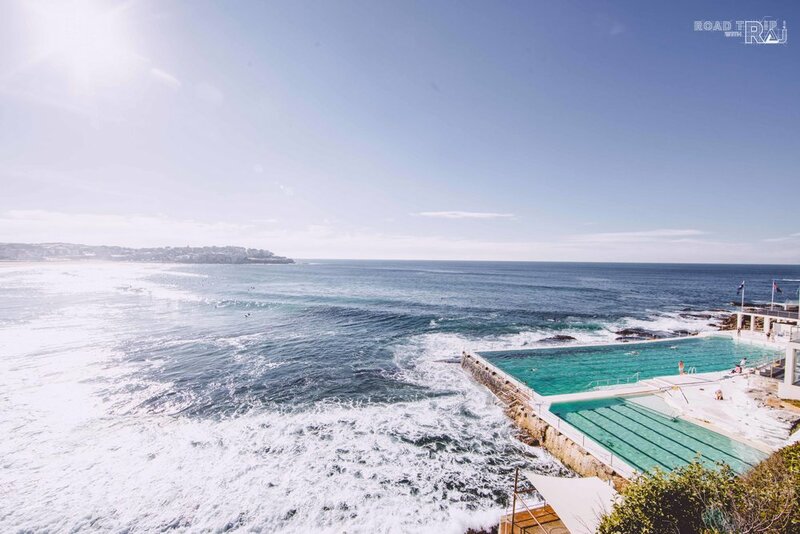 It only takes you 10 minutes from Circular Quay to Bondi Beach. Located 7 km away from the downtown. 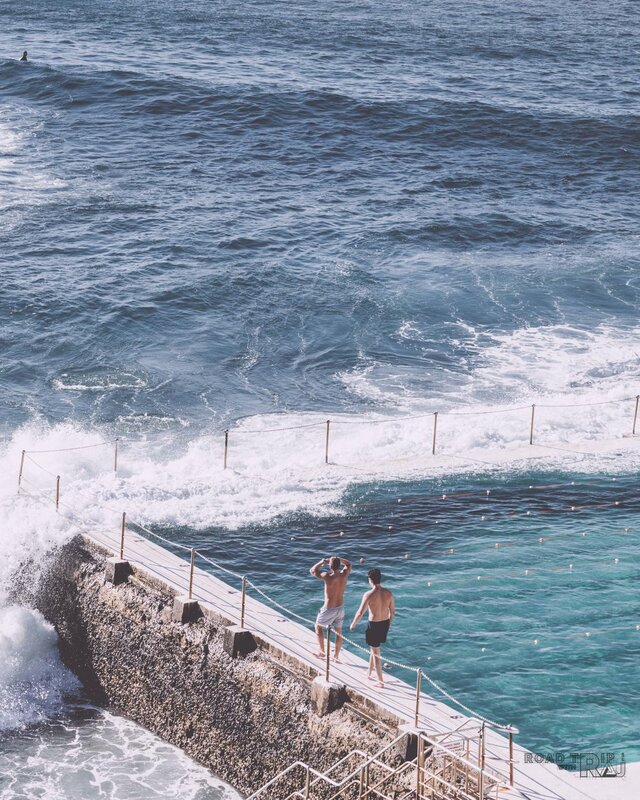 And when you arrive, simply look for Bondi Icebergs - Australia's most photographed venue where many photographers fly across the continent just to photograph this sublime spot. Who would have imagined to swim in the swimming pool yet feel like they are in the middle of the sea? 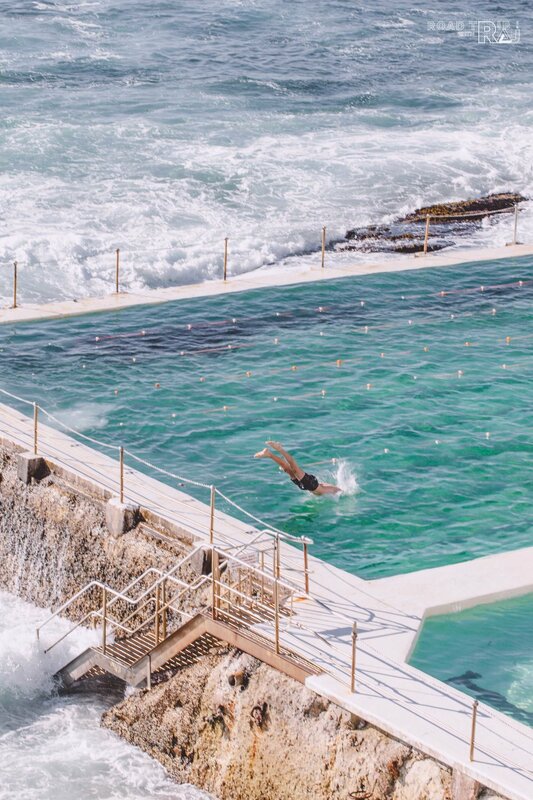 No trip to Sydney is complete without a visit to this one-of-a-kind swimming pool and clubhouse. This place is truly unique and if you have never paid a visit, I would like to encourage you to come and I will be so glee if these pictures I have taken, in whatever way, big or small, have inspired you to plan your trip to come and sit here. And yes! sit alone will also do. Solo Traveling offers you way much more than you think. "Bondi" or "Boondi" is an Aboriginal word meaning "noise of water breaking over rocks." The Australian Museum records that Bondi means place where a flight of nullas took place. The beach is about 1 km long and you can actually enjoy the coast walk. Unneeded to bring your iPod along as I would like to recommend you enjoy listening to the sounds of waves crashing. To me, the sound of waves crashing on the shore is one of the most relaxing sounds on Earth. And it is extremely important to also listen to the sound of waves within you. The time you enjoy wasting is not time wasted but as we all know... Life moves on. So follow my lead to the next spot and let me sit you down right in the middle of Sydney CBD. Although you got no Darling, it is completely fine to find some comfortable seat and sit here at Darling Harbour. 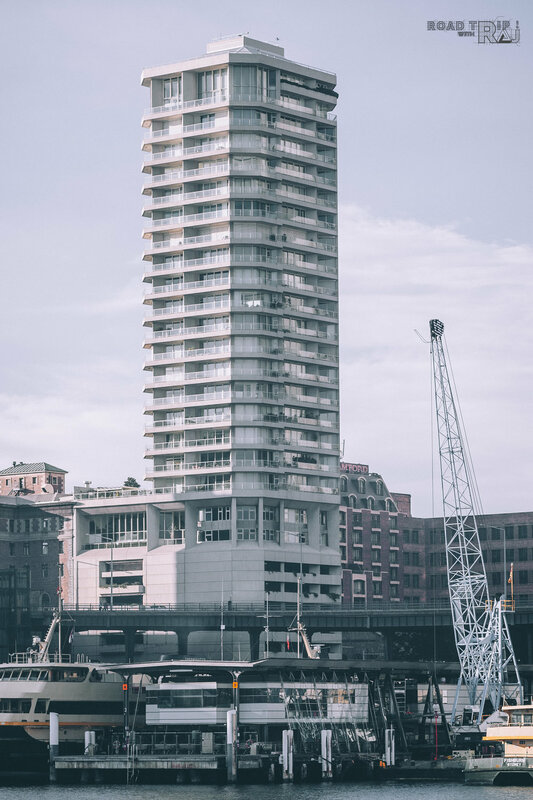 The venue is deliberately designed to be a large recreational and pedestrian precinct that is situated on western outskirts of the Sydney Central Business District. I feel very comfortable with this open space, the venue offers endless common area for me to just sit and watch the world goes by. Local Sydney people are lifestyle-oriented, impeccable dress and very companionable. One of the most favorite social activity is to "Brunch". I always like the idea of this long-lunch as I take the opportunity to get to know the person better by listening to their stories. Don't you agree that brunch is such a golden opportunity to get to know someone better? The dining scene here in Sydney is so happening and the restaurants and bars in Darling Harbour are big news! You’ll find absolutely masses of choice; food from all over the world. You can just simply wander in the area and pull up a chair and get a beer in the sunshine, littlies’ feeding frenzy, super-chic dinner or fancy pants cocktail in one of the city’s coolest clubs. Besides, there are a number of substantial coffee shops and cafés. I almost feel like I ain't need Starbucks for a big while. The tiny little coffee shop that hidden itself in the corner at Darling Harbour is just amazing. The just-hand-picked local coffee bean absolutely brewed my mind and soul away. Over and above, I did have a favorable chat with the Barista while he was brewing my favorite cup of joe. Mine is Flat White, always. What's yours...? Shopping is not really my thing but I did enjoy the time marching around and check out the price tags. 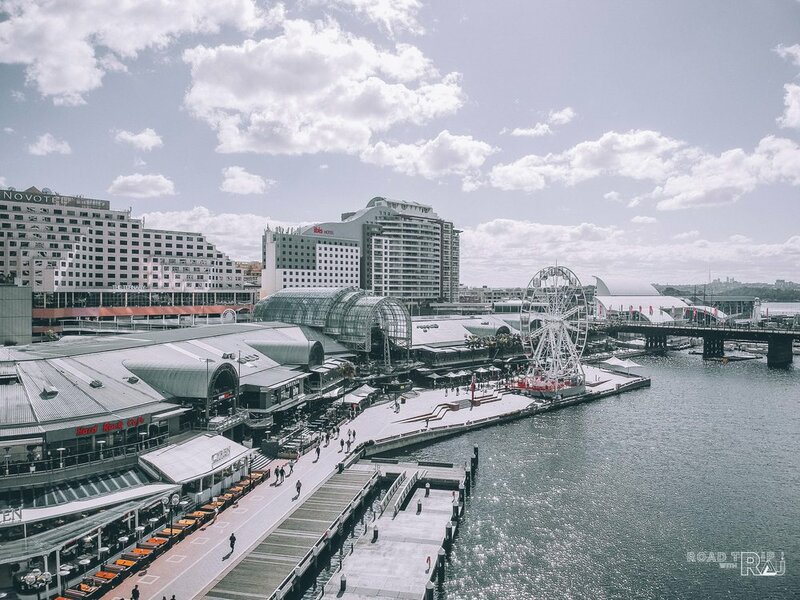 Harbourside, which exactly as the name suggests is right beside the harbour, you’ll find two levels of shops including high street fashion, shoes, lingerie, accessories, gifts, souvenirs, and most importantly do not forget to check out Australian made art and craft. I am into people who get excited about going to the park. Those who are thrilled for the change of seasons, the sound of the ocean, watching a sunset up on the rooftop, listening to the bird sings, the smell of rain and these little small things around us. All these simple pleasures are wild and free, just like going to Royal Botanic Garden. Free entry and free guided walks on weekdays from 1 - 2 pm. Sitting in this park reminds me of the moment when I picnic with friends at Central Park in New York. Oasis of calm in the city and instant fresh air you can never get enough of. The Royal Botanic Garden Sydney is a major botanical garden and the oldest scientific institution in Australia and one of the most important historic botanical institutions in the world. It is home to an outstanding collection of plants from around the world with a focus on Australia and the South Pacific. As I walk further into the garden, I got to see the new blooming while the tree are changing its color as Autumn was kicking in. In some cases, we don't go to the park just to entertain our mind but to build a better relationship with our stomach too. Here at Botanic Garden, there is one lovely café called The Caylx where they majorly serve an organic food. Speaking of which, I tend to pay more attention of what I eat these days. I sort of believe in the concept of "eat better, feel better"
The local also uses this enchanting space in the park to organize different type of events from the product launching to the wedding. 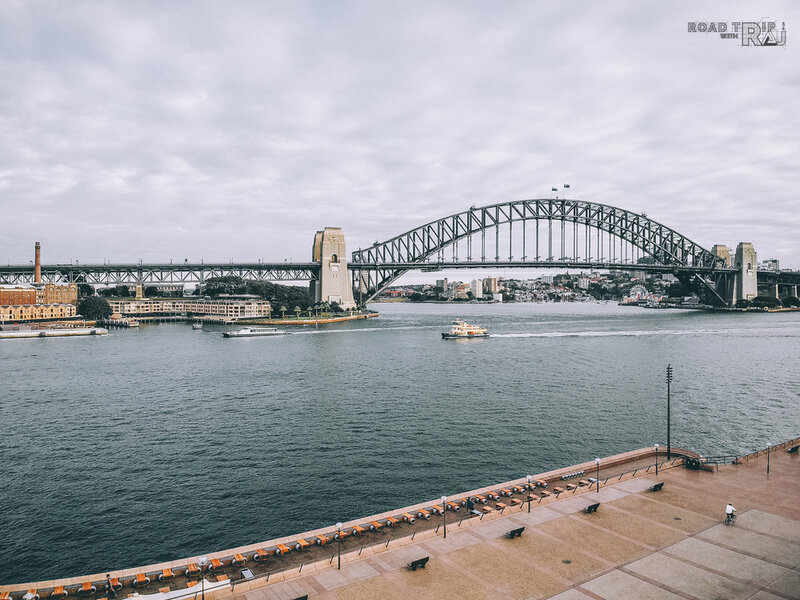 How gorgeous could it be to have your wedding organized with the background of Sydney Opera House and Sydney bridge? Have you ever found yourself caught in the situation like this? "Not knowing what to text back but not wanting the conversation to end?" This is how I feel toward Sydney Opera House. I have a lot to say but I can't put it into words. I am speechless. It's the moment like this I live for. Sydney is not just a city, it's the world to me. Sitting here and so overwhelming with life. Feeling so lucky to have the opportunity to roam around the world and get to see it up close in a macro perspective with my own eyes. I may not have an expensive watch, sport cars or get to fly first class here and there. I am not a rich guy but at least this is my choice to live my life to the fullest. I don't think solo traveling, walking alone or sitting alone is a bad idea to begin with, but hey... look like someone is going to come and sit next to me. Well... I think I'm going speechless again. There are so many things I would like to say but I just don't know how. Me: Hi, My name is Raj and I'm not Indian. Thank you for joining the road trip!